I tried to make a switch to use Tumblr which has a much easier friendlier type of blog commenting...except for some reason I couldn't get the link or comments (bahahaha) 🙈to work across all formats. I tried to do some troubleshooting but long story short I just couldn't make it full proof and I gave up. 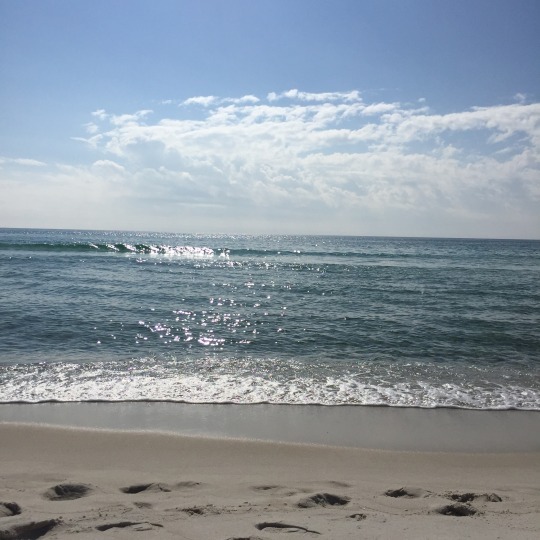 Hence it left my Panama City Beach recap a bit messy, but for now I am back at my usual spot. 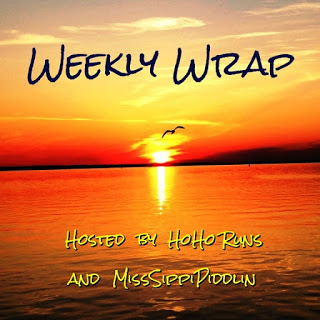 I am linking up with my awesome running gal pals for the Weekly Wrap! But this week I am talking 2017! If I had to sum up 2017 it would simply be to say "one gear." It has been a year of solid running, with 1,085 miles but it has also been a year of struggle. One gear is all my body seems to have since last Spring. Who runs all those miles and feels weaker!? It is odd. I have some theories but no real solid answers. Typically when the temps cool, my pace starts getting faster...this year not so much. I still feel kinda weak. 💩 I am not even close to where I was pace wise in 2013, 2014, 2015, 2016, and even the beginning of this year! It could be several factors. Post menopause...sure, my numbers say I have been in this phase for more than a year now but I still feel like things are changing. It has become even harder to keep my weight in check and my energy levels are low, low, low. I have some symptoms, like the morning hangover feeling (when I have NOT had a drop of alcohol) that can be very intense some days but it comes and goes. I am not sure if this fatigue is really impairing my running, but it is present in my daily life. This past Spring I started on two blood pressure medications. I was thrilled I experienced minimal side effects from the meds...but it is curious that is when the big change seemed to take place in my running. I went for several tests and scans and the cardiologists did a thorough job making sure I was okay to run. I do have an enlarged heart (from the untreated blood pressure) but the cardiologists didn't feel it was enough damage to keep me from my normal activity levels. I do wonder now (after months and months of dealing with this) if I am just a tad weaker overall...I certainly feel more challenged during high intensity activity. The first few years I ran my yearly mileage was almost always evenly split between the treadmill, trails, and pavement. Since my stress fractures I have shied away from trails and the TM because it seems to aggravate that area on my tibia. Maybe the trail and TM runs were making me stronger?! 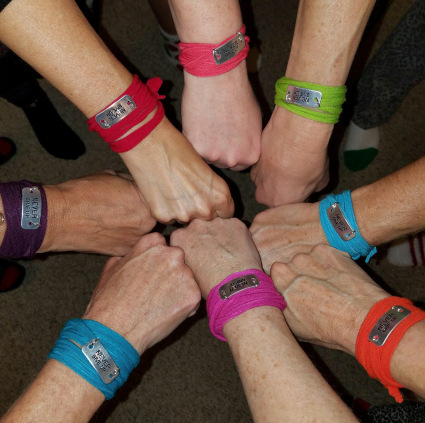 This year out of 1,085 miles only 80 (mi) were on trail...and 12 (mi) were on the treadmill. Last thought, the issues with my feet are progressing, slowly (luckily), so maybe I just can't expect much from my tootsies anymore. I don't know which issue is the culprit...maybe it is all of them. 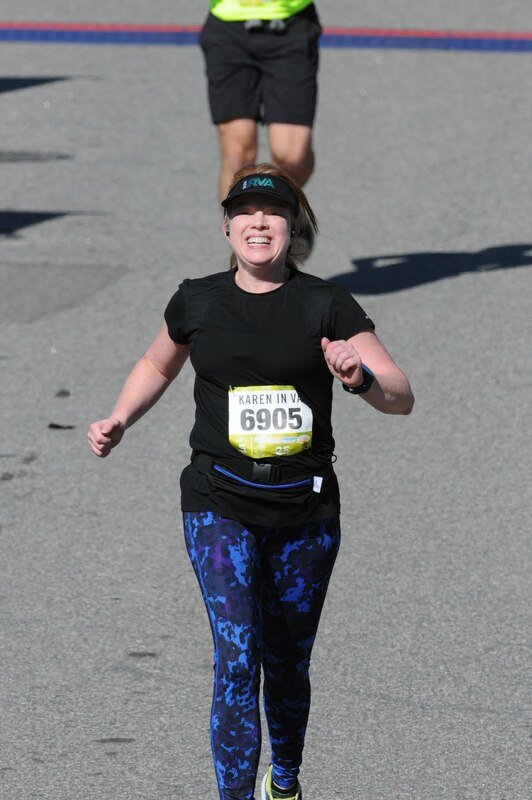 While I am grateful I can still run, I would be dishonest to act like my lack of progress this year has not impacted me, it dampened my spirit a bit. I never give up, but sometimes it is good you don't know what is coming down the road. I started 2017 so optimistic! 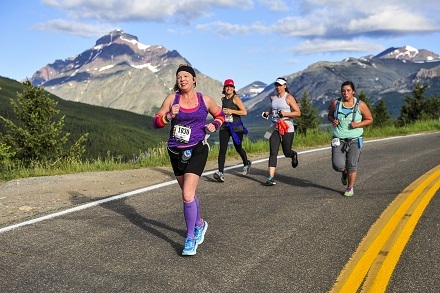 If I had to pick the best race from my half marathons I guess it would be running Glacier in Montana. What a fabulous course!! 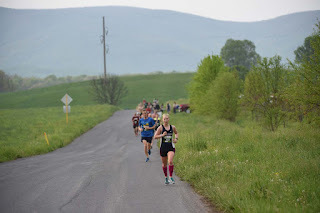 I felt great for most of the race and I loved every second of the views and milder June temps. I wasn't speedy, but with more than a 1,000 feet of up I wasn't trying to be. I am very sad the race date was moved back a week for 2018. The race is being held during the last week of school for me, so there is no way I can repeat it. I would have gone back for sure! High Bridge (trail race) in September was another awesome day. Again, I wasn't speedy but I ran every single step, no intervals, for the first time in a few years. Encouragement from Coach Holly, a less humid than usual morning, soft trail... it all came together for a pretty happy day. When I was in good shape and running considerably faster back in March and April, it turned out to be a very brutal (HOT) Spring in Central VA. Heat destroyed any chance I had at capitalizing on my training. but I enjoyed the afternoon start time and some nice stranger gave me his banana while I was still on the course. I was abnormally wiped the last few mile of this one. 10-21-17 Petersburg Halloween Half Marathon 2:19:43 - warm and humid ~I only had one gear...traffic was awful for this one. 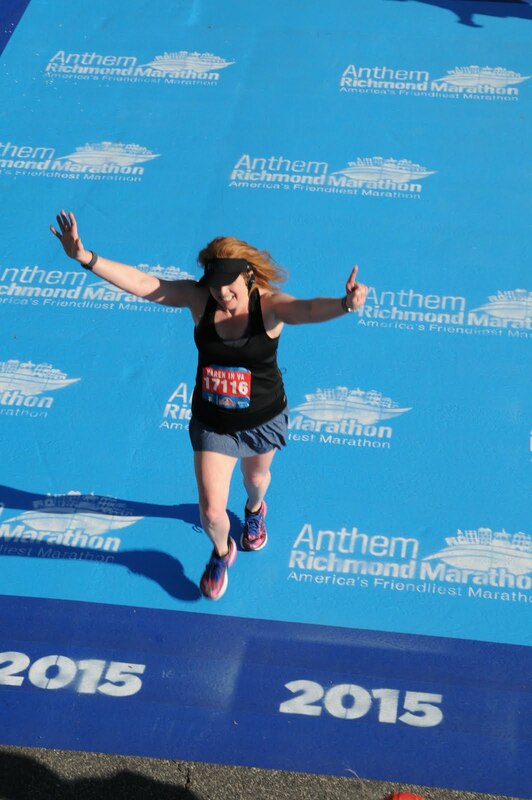 11-11-17 Anthem Richmond Half Marathon 2:20:51 - one gear again...it is a fun course though, lots of race hoopla to distract me. After this April day I only had a few more speedy runs in me and then one gear began. However, one gear served me well for my October marathon and I PR'd by 5 minutes. This was a pretty incredible day! 4:46:10 - I think I am retired from that distance..but never say never right! 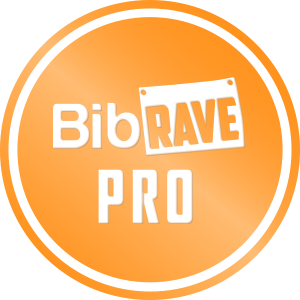 I have gone round and round trying to decide if it was time to let the half marathon distance go and keep my focus on my daily running, then I received word I was going to be a Bib Rave Pro for 2018! I am super excited for this opportunity and I am hopeful it'll bring new experiences my way. It gave me the boost I needed to try to reinvent myself a little in the upcoming year. Truth be told even though my races weren't great this past year I still had a whole lotta fun! So far I've only signed up for one Rock N Roll race in Raleigh in April 2018. I am not feeling ready to dive head on into a full race schedule yet...SO I am going to try to ease on in, hoping the crescendo will happen. I have my head down right now logging miles, putting around in one gear, trying to go with the flow. I am not pushing speed-work and I am trying to come to terms with the new me. The way my running is going right now it will likely take me longer than 2 hours and 20 minutes to complete a half marathon. With all the issues my feet give me, spending more time on my tootsies to complete a race isn't totally motivating, BUT I sill have a mustard seed inside that believes things could still start clicking for me. I know if I start feeling stronger during my runs it will motivate me to start seizing some moments again. I am not sure what 2018 holds, but I am ready to hit reset and see what unfolds. Wishing you happiness, success, and achievement in something you truly desire in the year to come! 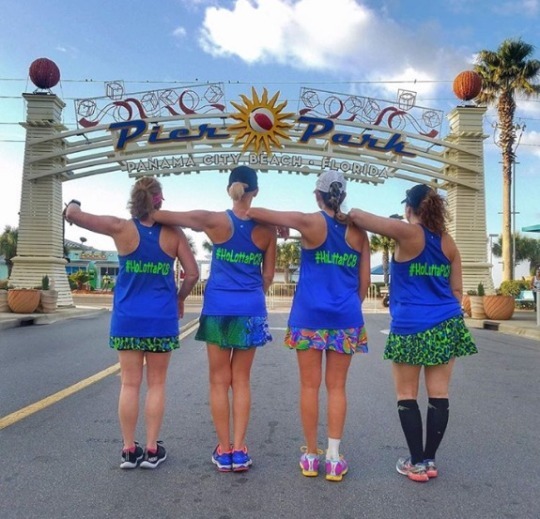 What is your first race going to be in 2018? Are you ready to leave 2017 behind yet? What was your low or high in 2017? Update: I was trying a new format - but for ease of commenting I am pasting my recap in here!! 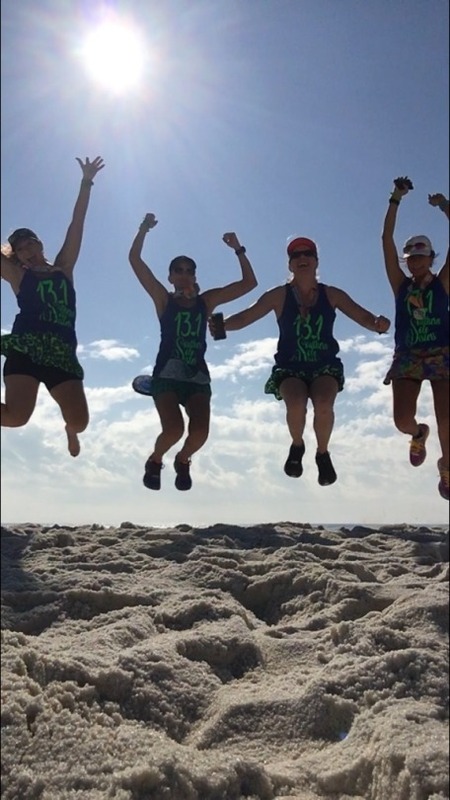 I decided NOT to do an all out long story recap for PCB, but then I started writing…sorry! It is wordy but it hard to capture 13 miles in a few words. I am trying out a new format in my never ending quest to simplify blogging. The most important thing is this weekend was a blast! It would have been a bonus if the half marathon was also amazing, but I wasn’t going to let a bad race diminish the overall experience. I would take a rough race to do it all over again! In case you missed our adventures click here to see some the pics! Friday and Sunday in Florida it was about 10 degrees cooler in the morning than Saturday’s race day. 61 degrees or so when we left the house to head to the start line…and it heated up fast! It was clear and sunny! Great for life, bad for running lol Sun and heat has always been my kryptonite. I was extremely optimistic though because the humidity could have been much much worse in Florida. I hoped I could just run the Galloway method (4 x 1) and be happy. It is rare for me to know anyone at a race so seeing so many familiar faces and being able to chat is good times! I am so thankful to Holly for diving in and getting everyone together. I ran with Jodi and Rick for a little over a mile. 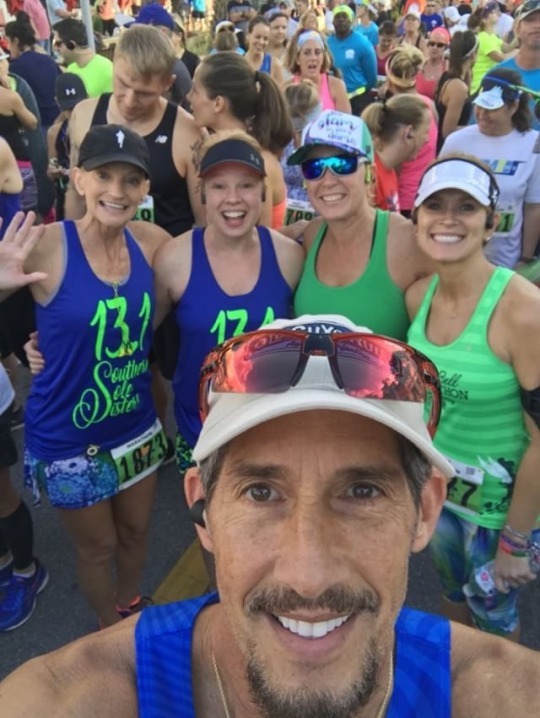 It was great to see Jodi doing so well after surgery and fun to run with my Instagramming buddies. I started intervals during the second mile. I told Jodi and Rick I was dropping my pace because I was struggling in the heat that early on. SO pretty out but oh so warm. I ran a very easy pace and thought I can do this until the end…LOL…that didn’t happen. 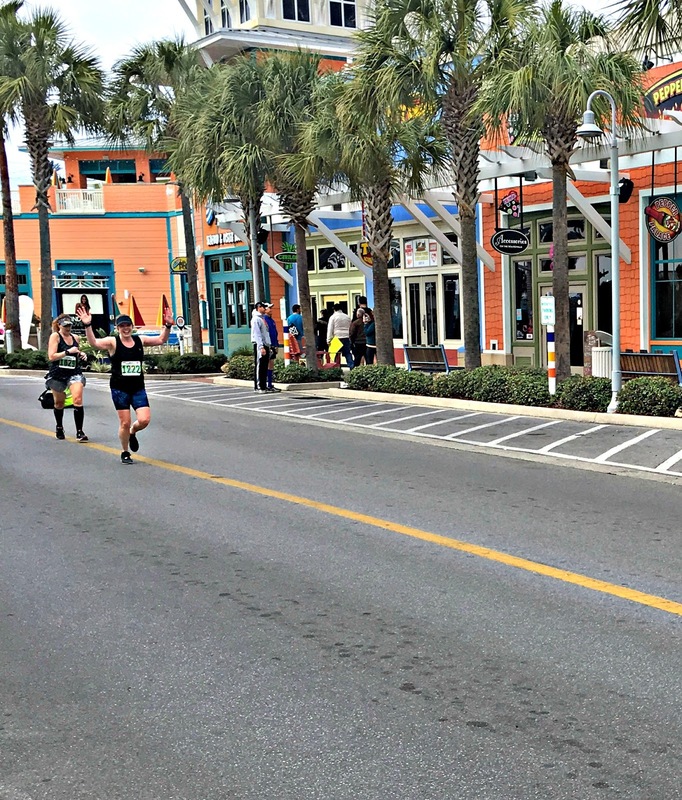 I took water at mile 3 (I think)…maybe 4, anyway I just know I had one cup and about mile 5 I saw Gatorade and luckily I grabbed two cups. I drank every drop and realized I really should have carried my own Nuun and been drinking a whole lot more. I was so sweaty! By the half way turn around point on the course I had been struggling with my stinging eyes for quite awhile…I was squinting and I just couldn’t stop the sweat flow long enough to get any relief. My eyes were so bad when Holly went by me I almost missed her. She touched my arm and I was srurprised! “HEY! !” Truly my eyes were a mess. The hydration stop still had water at this point and I took a sip and used most of it to wash out my eyes. The eye burning hindered me for several miles until somewhere around mile 9..that is when the crazy amounts of walking started and at least it cleared up my eyes. The best thing during this part of the race was seeing Holly, Tricia, and Teresa go by looking strong and smiling! I also saw Tammie, Jodi, and Rick (Instagram buddies), so I knew everyone was at least surviving! Did I feel bad I was dead last?! Maybe a tad, but honestly I was more worried about getting so sick I wouldn’t be able to have fun the rest of the weekend. I am very prone to heat sickness and in the past I’ve had a few bad bouts of chills, sweats, elevated heart rate, nausea, and it has lasted hours. The hydration table had peppermints. I thought it would feel refreshing, so I took one and sucked on it slowly. Well, I got horrible side stitch not long after that. I was taking walk breaks and the pain in my rib wasn’t subsiding, then I got the really bad - breathe in breathe out pain- and it wouldn’t let up…I was so frustrated..and I desperately needed some electrolytes. I was feeling a bit nauseous and I started getting chills even though I was sweating excessively. I was getting to place I knew I wouldn’t be able to recover from if I pushed too hard. I was defeated. I started walking more and more. I took a P.O.P. stop during mile 9… I was so over being hot and of course there wasn’t a cloud to be found! I don’t remember any clouds floating by thick enough to really give me a break from the sunlight until the very end of the race! By that time I had been past water stations that had no water or cups…I was worried. Video below! The possibility of no hydration to the end was starting to sink in. Here’s the thing, I was already walking a ton, but my thinking was not really clear. There was a strip of stores along the course a few times. I could have hopped into a store and purchased my own sports drink and went on my way, but I never thought of it!! I run in my neighborhood, never past stores, so the idea of stopping to buy anything during a run is foreign to me, about mile 12 it dawned on me I should have went into a store right after the halfway point and maybe I could have had a very different day. Of course at the time I wasn’t sure all the stations would be out of supplies…but still, I can’t believe I didn’t think about it. About mile 11 the hydration stop had jugs with just a few sips of water left in them, there was a bunch of us and just a few jugs, so we were trying to throw some water in our mouths and pass it on. Crazy!! I felt sorry for the girl at the water stop there was lots of complaining. I kept walking then running a few steps, on repeat. I was not following 4 x 1 ratio…four minutes was too long. I tried to run 4 minutes a few times and the weird chills started up, heat sickness was looming so I just walked. 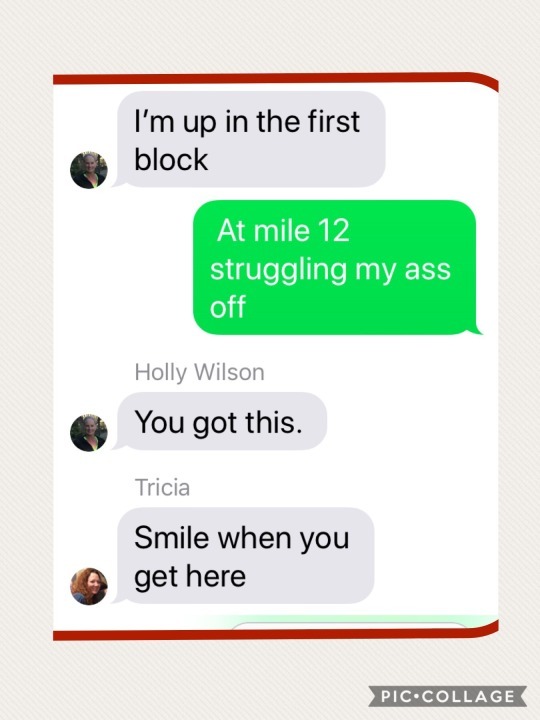 At mile 12 I felt my phone vibrating and I knew it was the girls texting each other at the finish area trying to meet up. I was envious they were all done LOL I wanted to be done. I sent them a message to tell them I would still be a bit longer. I felt bad I couldn’t dig deep and push through. 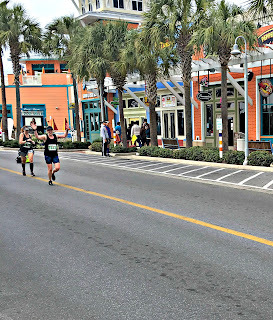 I started thinking about all the hot races I had run during 2017 and in very humid conditions…and still finished way better. This was a low point, I really started beating myself up. 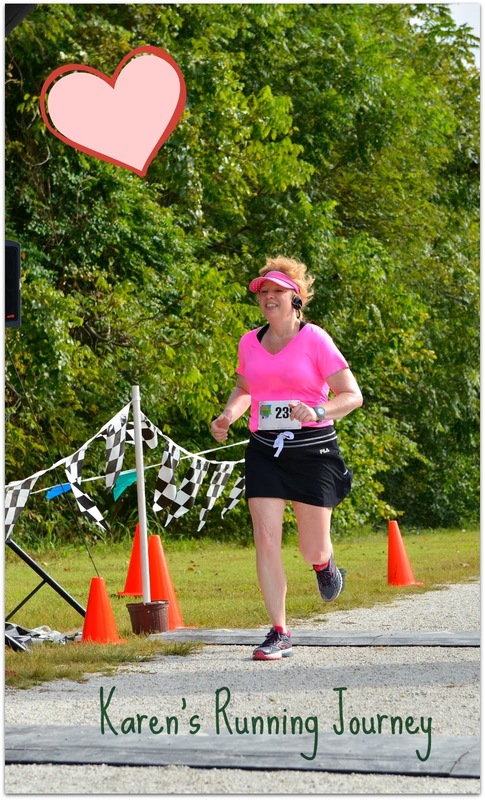 As I was thinking about those races…Petersburg Half (HOT! 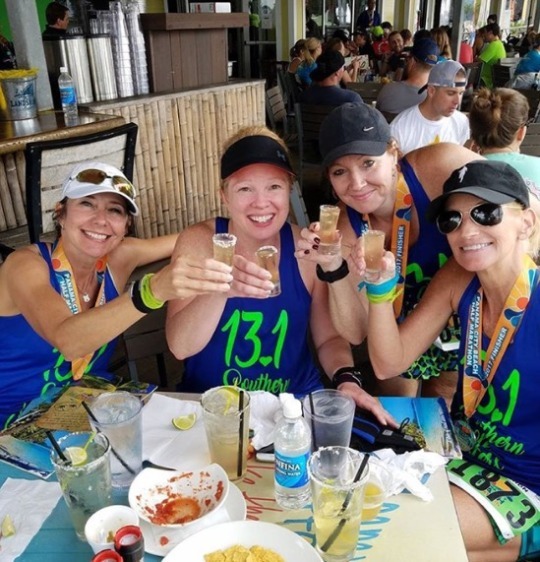 But Gatorade at almost every stop) Park to Park Half~ I carried a disposable with Nuun in it, Highbridge Half~ I carried my handheld and refilled it several times with Powerade …I realized I really couldn’t compare experiences, I had plenty of hydration for those races. All 13 miles of this race I had two cups of Gatorade and one cup of water, other than that just a swig of water! I couldn’t let myself be sad…being able to have fun the rest of the day was much more important! 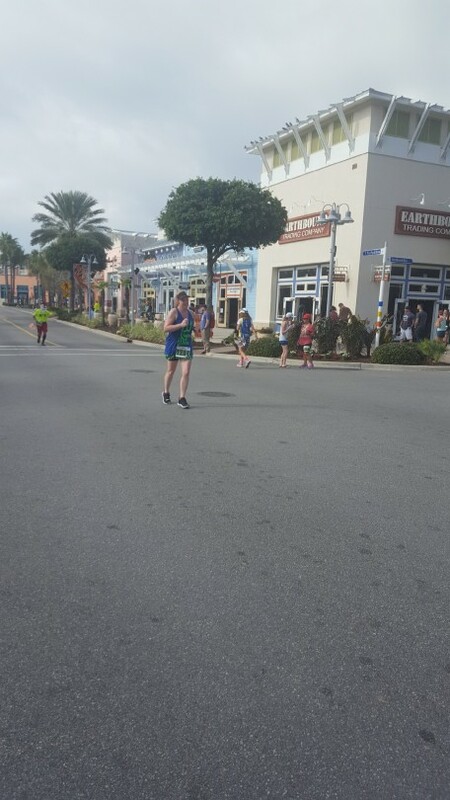 As the finish line approached and I saw my friends…annnnd yep, I could be sad. LOL I wanted to smile, but the tears welled up…I tried to hold them back but the tears were forcing their way out. I had to go off to the side and get myself together for a few minutes. The fact remains though this was the toughest and slowest race time I’ve ever earned. I nailed the backwards PR. GO big or go home…I bested my personal worst by 7 minutes or so…and that previous personal worst was earned while stopping to get sick behind a bush! 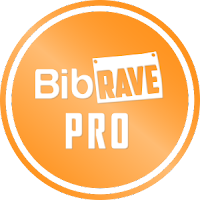 I ran an 11:32 avg pace the first 6.55 miles - the second half my average pace dropped to 13:45. Overall I finished in 2:45:09 (12:36 avg pace) …OOOOOiiiie. I am not dwelling on it. I loved every other minute of my girls weekend! And if I go run this next year I’ll be sure to carry my own hydration! Have you ever had your eyes burning for miles from sweat? Been at a race that ran out of cups and water? This is was a new to me, I hope I NEVER repeat experience! Do you think the peppermint gave me a cramp or was it coincidence? What was your personal worst half like? Tell me all about it!! Ever been to beautiful Panama City Beach? Happy Holidays!! Thanks for stopping by! 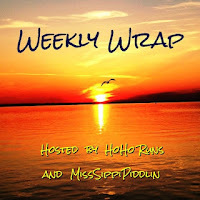 By now I bet you read about the weekend shenanigans in Tricia @Misssippipiddlin, HoHo Runs post or Teresa's post! I am linking in with my gals to say a quick hey! The recap is coming but until I will just share a few fun moments with you. Flying out of Richmond very early Friday morning! I love the views of the lights from the sky. My airport food was crazy good this trip! Go figure... I had eggs and this place made home fries with a variety of potatoes. The sweet potatoes were my fav! Are you a sweet potato fan? I had to fly into Atlanta and change planes to go to panama City Beach Florida. Win!! Flight from ATL to FL I had both seats to myself :) That is a happy place. Look at these beauties that picked me up! Had that peanut butter donut I waited a whole year for!! Gators intimidate me...I have a very healthy respect of those jaws! But I held one anyway!! and I loved it! Then Cooter took us riding in the air boat and it held some awesome views! Look at the reflection! Gorgeous day! Race day!! Beautiful day but hot hot hot! 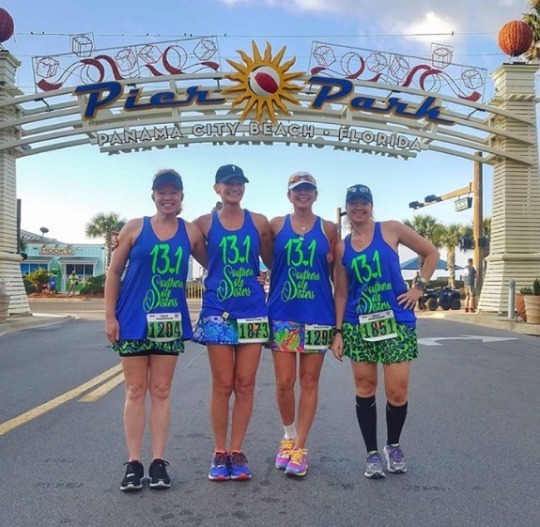 My tough race hurt my heart a bit initially but honestly, I had so much fun with my southern sole sisters I wouldn't trade a minute of this weekend for the world. My worst half time ever... but hey, it is just running. Friendships, laughter, memories, new experiences, those are the things that really matter. #holottapcb recap coming soon! Do you love a window seat on a plane? How about sweet potato home fries? Celebrate when you get a row to yourself on a plane?